In a political battle between the two national parties, BJP president Amit Shah has announced Thushar Vellappally as the NDA candidate from Wayanad, the second constituency where Rahul Gandhi will contest. The Congress had earlier announced Rahul Gandhi’s candidature from Kerala’s Wayanad, beside from Amethi in Uttar Pradesh. In a press brief, AK Antony had said that due to the increasing support and demand from the local leadership, the party took the decision. 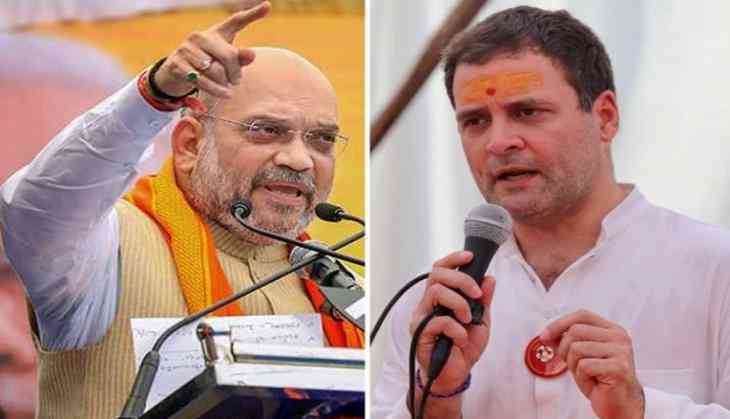 The BJP had alleged that Rahul Gandhi is ‘afraid’ of losing the polls in Amethi, against the BJP’s Smriti Irani, wherein the latter had unsuccessfully contested against the Congress president and lost by a margin of more than 1 lakh votes. Although, the Left parties had cautioned the Congress over Rahul Gandhi’s candidature from Wayanad, claiming that the party is targeting the Left and it will work to ensure that Rahul Gandhi loses in Wayanad.